A big idea in the digital humanities is that building is a hermeneutic, an iterative interpretive process that leads toward knowing and understanding. I saw this great video on The Art of Glitch toady that made me think a bit more about how much breaking can is an essential related way of knowing. I realize I’m not necessarily breaking any new ground here, but I think these few examples I’ve pulled together do a nice job at getting at what it is we learn when we break the slick world of computing a bit. You should watch the whole thing, its’ great (you should also watch their video on Animated Gifs). But the part that I found most compelling was Scott Fitzgerald‘s basic demonstration of how to glitch some files (change a .mp3 to a .raw and open it in photoshop or open a .jpg in a text editor and delete some chunks of it. It’s fun, in that it is something you can follow along at home with, but the act of doing these things actually teaches something about the nature of digital files. He does a good job of explaining this in the following statement. In short, breaking the files exposes their logic. 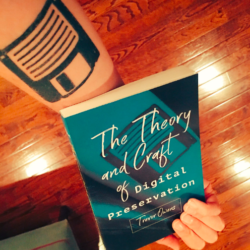 In a way it helps us escape screen essentialism and see a different side of the nature of the files, file formats, compression algorithms, and structure of digital objects. 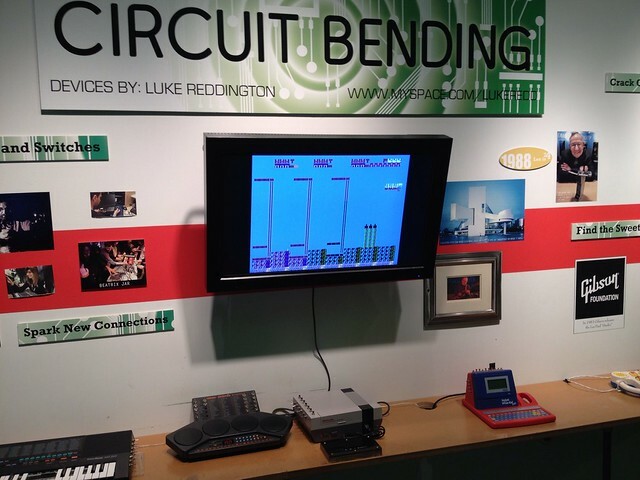 The whole experience reminded me that I never got around to sharing some of the amazingly cool exhibit on circuit bending at Milwaukee’s Discovery Zone. If you are unfamiliar, here is how Wikipedia describes Circuit Bending. Here is a little video I took of messing with the dials on the bent NES. 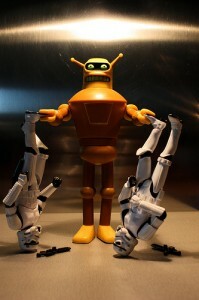 In this case, messing with the hardware is producing glitches. In this case, the artist (Luke Reddington) bent a series of different devices. He went in and put a bunch of toggles on this NES that lets you flip a bunch of different switches inside the device that no one is supposed to be messing around with. 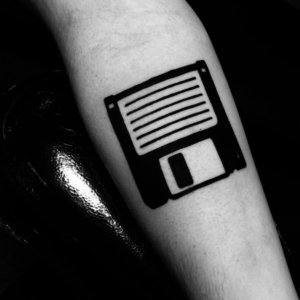 In my mind, this works just the same as changing the file extensions. When you poke around inside the Nintendo and set a few different switches to toggle things that aren’t supposed to be toggled you can get this. Sure it’s art, there is an aesthetics to the whole thing, but there is also an element of coming to know in here. I think these are all examples of the ways in which breaking is as much a way of knowing as building. In each case, much like what happens when you set an augmented reality app like wordlens to the wrong language and have it try and read things that aren’t text, or when you go on a quest to find oddities in the digitized corpus of google books, circuit bending and glitch art draw out attention away from the way things are intended to be presented, away from being seemless things that obfuscate their nature, and get us to peek behind the curtain of the technologies and see a bit of the logic of computing. It appears the stars have aligned and several papers I have had in the works for a while are hitting the streets at the same time. I’m excited to announce that an article I wrote for Cultural Studies of Science Education is now up in “Online First.” I thought I would share the abstract, and one section from the paper where I talk through some of the ways that people role play at natural history in the forums. Owens, T. J. (2012). Teaching intelligent design or sparking interest in science? Abstract: Teaching intelligent design or sparking interest in science? I had a ton of fun with this paper. The Sporum, the Spore web forums, is a crazy place and a good time. 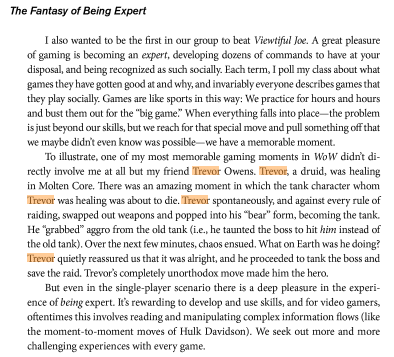 I think it also turns out to be a great place to test ideas about what people who play sand box games like Spore end up doing as a result of their experiences playing the game. In any event, writing about the “Javelin Hawk” will likely be my only chance to discuss something that has a “prehensile throat” which it uses to “spear live prey and drink its innards using gastric juices vomited up through the throat”. Enjoy! Stylistically written to evoke what might be described as, ‘‘textbook language’’ a player describes how the ‘‘Javelin Hawk evolved from the Archeopteryx, an early bird.’’ The player explains, Archeopteryx developed a ‘‘strange mutation in which part of the esophagus was extended into the mouth, resembling a hose.’’ It is important to note that the game itself does not employ the idea of mutation. In Spore, players spend ‘‘DNA points’’ to add features to their creatures. This player brought in the idea of mutation to serve as a layer of explanation for how their creature came about. The player goes on to explain that this mutation ‘‘was usually fatal, until the opening evolved to be prehensile.’’ This is, yet again, a significant addition to the way the game works. Not only is the player using the idea of mutation, she is also presenting mutation as something that, for most of the creatures who exhibited the mutation, is fatal. Only coupled with an additional mutation, the player explains, did these creatures’ esophagi became prehensile resulting in a viable new species. The player explains and names this creature as an intermediate form; ‘‘This creature with a prehensile throat was known as the Perlingua.’’ From there, the player reports, ‘‘Eventually, with the extinction of the succulent plants it fed on in the area, it evolved a larger longue [sic] that was very sharp to spear live prey and drink it’s [sic] innards using gastric juices vomited up through the throat.’’ In this explanation, the player identifies that the loss of the creatures’ food source, the plants, led to it ‘‘evolving’’ a larger tongue with which it could spear live prey. The description here sounds a bit Lamarkian: the extinction of the plants that the creatures ate could have led to their extinction but could not prompt them to ‘‘evolve.’’ Instead, a loss of a creatures’ food source could act as a factor in natural selection. 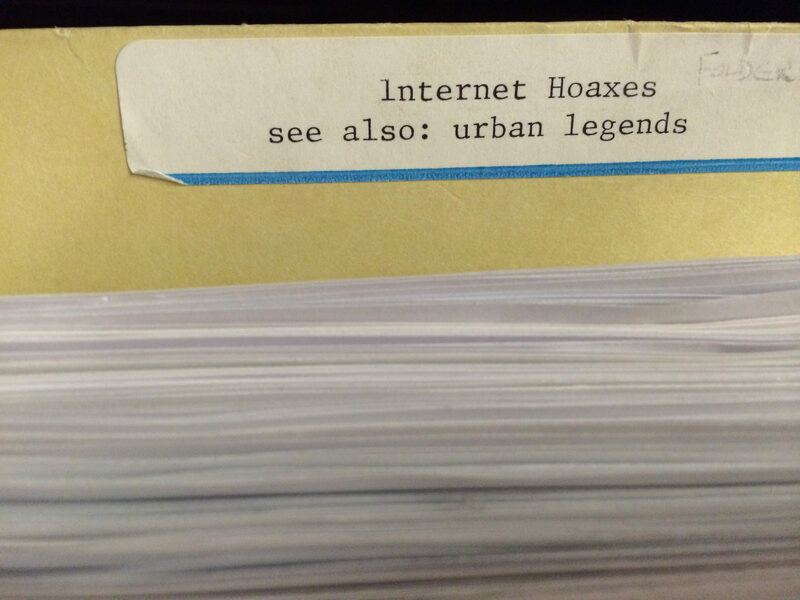 For those without access to the official copy you can see my personal unofficial archival HTML copy here on my website. 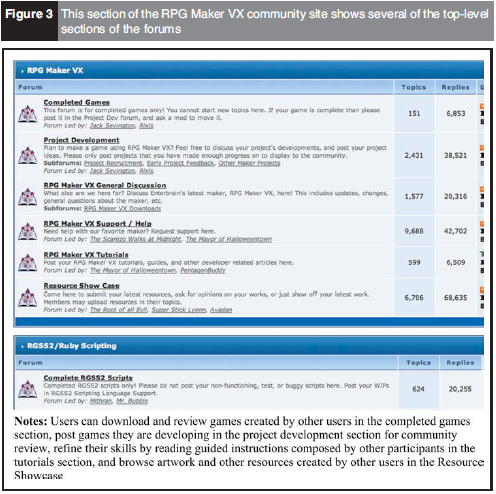 I am thrilled to announce that the first of a few publications resulting from my research on the RPGmakervx.net community has been published. I’m thrilled that, almost a year-to-the-day after I announced the start of the project the first of the resulting publications is out. 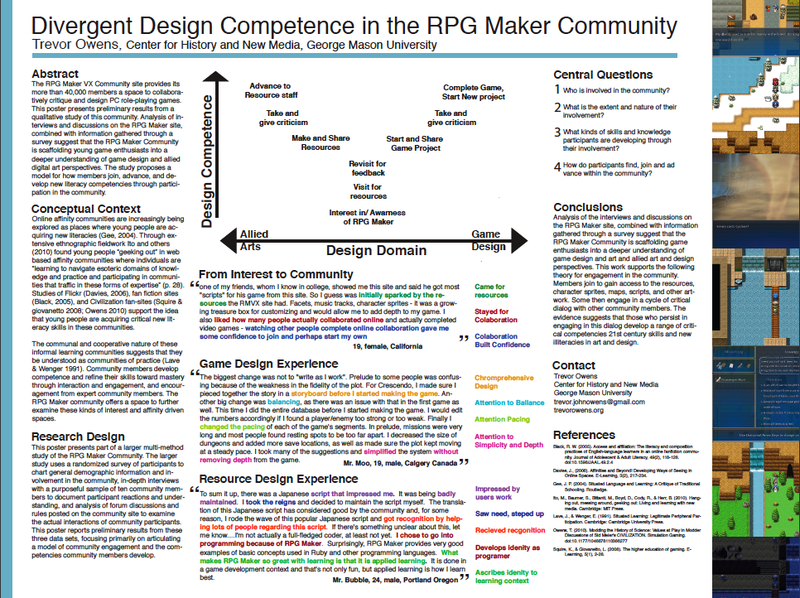 Over the last year I had a lot of fun sharing preliminary results from my survey on this blog and present a poster about the project at Games+Learning+Society conference last June. 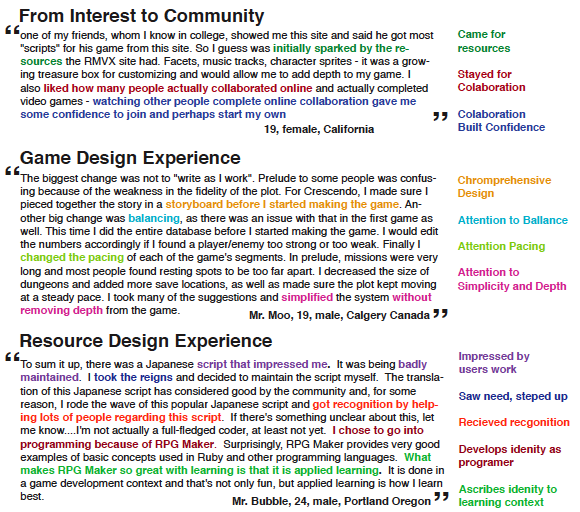 With that said, it is really exciting to see the results of that work ending up in peer reviewed journal. In this particular essay, I try to document the how and what people are learning in the community and try to abstract some principles from the kind of learning that occurs “in the wild” into lessons we can think about incorporating into more formal learning environments. 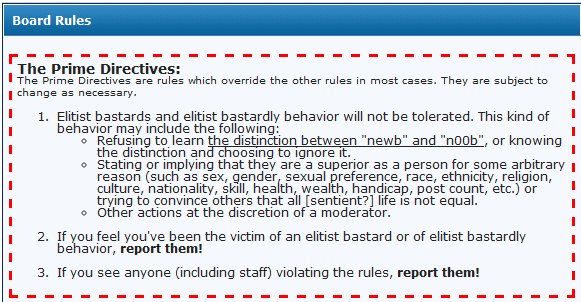 You can see a screenshot of a screenshot of the forums which I included in the paper below. The folks at On the Horizon were great to work with. Specifically the guest editor, Christine Greenhow, and the reviewers gave me very invaluable feedback as I refined the essay. I should also note that I am quite excited to dig into the other articles in the issue. I have included the structured abstract for the article below. Below that you can find links to it. 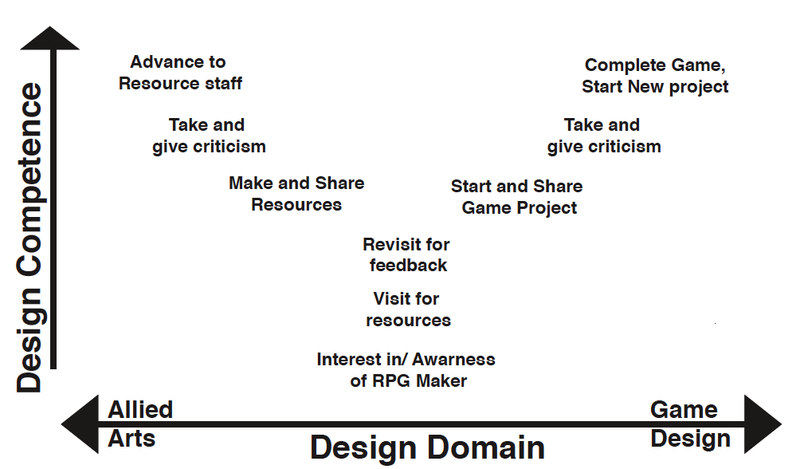 Purpose – Online community sites devoted to RPG Maker, an inexpensive software for creating role-playing video games, have emerged as spaces where young people are developing valuable competencies with digital media. This study seeks to examine the largest of these communities. Design/methodology/approach – The study uses a mix of qualitative methods including a survey, interviews and analysis of the structure of the site. The study uses discourse analysis and is grounded in work on situated learning. Findings – The study suggests that the site and community are scaffolding young people into deeper understanding of digital production and the development of practical skills, like programming, as individuals take on identities associated with different roles in game design. Research limitations/implications – This study reinforces the value of research focused on young people’s social media creation and also suggests that there is still much to be learned about technologically simple but socially rich platforms like web forums. As qualitative research it does not generate statistical generalizations. Practical implications – This research suggests three implications for the design of online learning environments focused on media production. Designers should: start with learners’ interests and basic skills will evolve; support a diverse range of production roles and identities; and offer simple technical systems that can support sophisticated digital learning communities. Originality/value – While there is much work on learning in online communities, little of that work has focused on the importance of the role-taking of young people in those communities and on implications of these spaces for designing online learning environments. If you don’t have access to the very nice looking official PDF you are free to take a look at my personal less nice looking PDF. I should note that I am able to deposit this copy of my paper on my personal website because of Emerald Publishing’s very reasonable author charter.